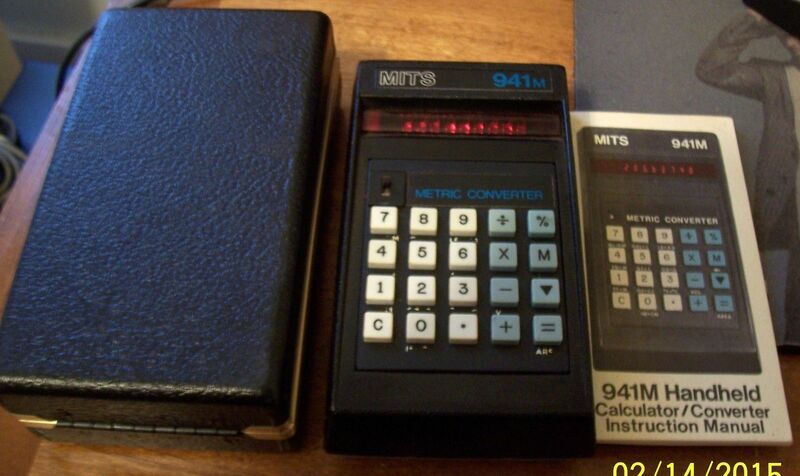 I’m not really a calculator collector other than some early HP computers that might be considered calculators by some. 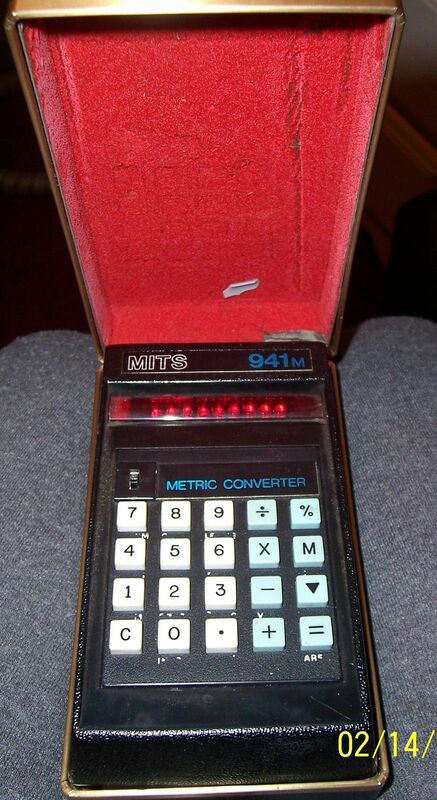 I saw a MITS 941M metric converting calculator on eBay and just had to get it. 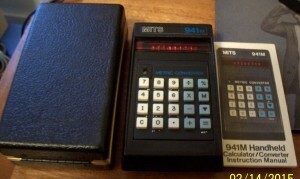 I don’t collect calculators but I do collect MITS Altairs so I was curious. It was advertised as not tested which means it doesn’t work. When it arrived, I tested it and lo and behold, it didn’t work. 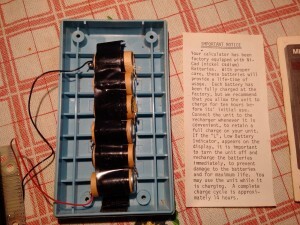 I was just praying the batteries didn’t corrode and kill the circuit board. 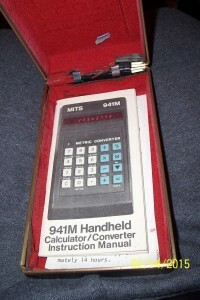 A small leaflet indicated that this calculator had rechargeable ni-cad batteries. That didn’t sound too good. A small prayer and a few screws later, this was what I discovered. Disassembling it a little further, I could see the circuit board looked very “Altair-like” with a light colored board and tin traces. To my surprise, a white ceramic chip was visible so I had to pry it open a little. 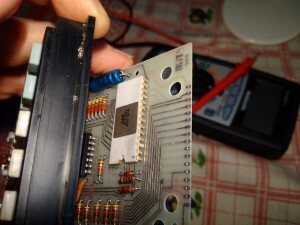 Enclosed was a MOS MCS 2521 integrated circuit. 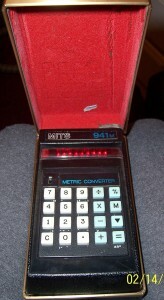 Unfortunately, the way the display was attached, I couldn’t take a complete picture of the calculator motherboard. At some point, I’ll try to put in 6 AA batteries and see if it fires up. I don’t think it will be a problem but all-in-all, I think this is pretty cool and is an excellent example of the lineage of Micro Instrumentation and Telemetry Systems.